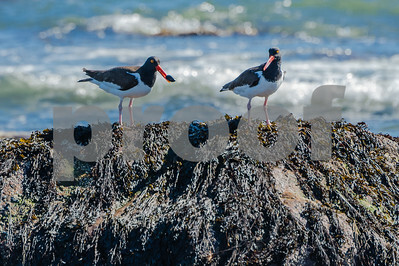 Two American Oystercatchers (Haematopus palliatus) stand in tandem on a seaweed covered beach rock. 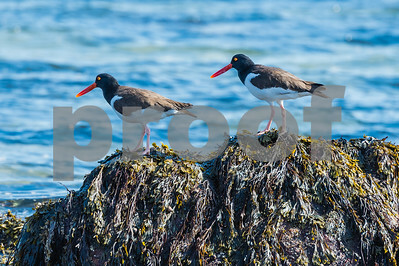 American Oystercatchers insert their long blade-like bills into mussels and other bivalves, severing the powerful adductor muscles before the shells can close. 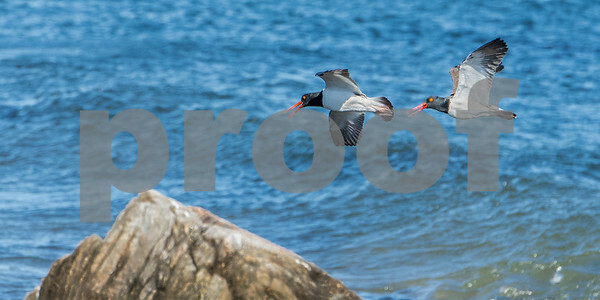 Two American Oystercatchers (Haematopus palliatus) fly alongside each other. 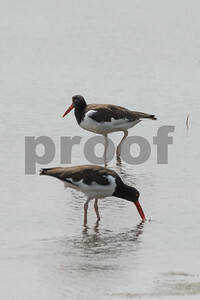 Two Oystercatchers feeding at low tide in a salt marsh. 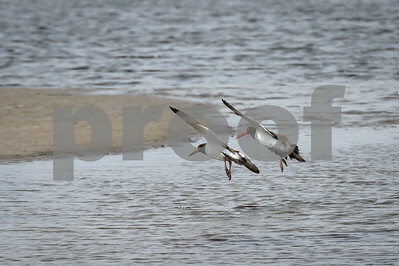 First time I've photographed an Oystercatcher. 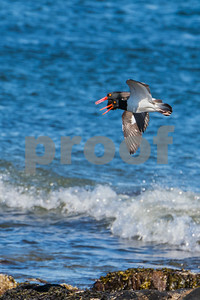 I've noticed that American Oystercatchers always look happy when flying.